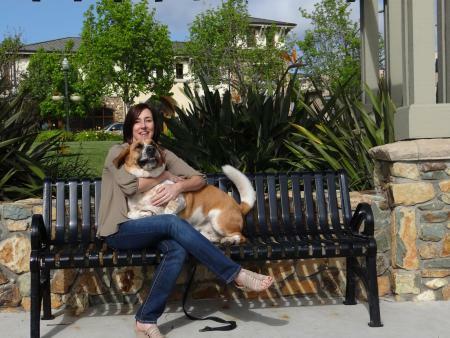 Dr. Thomas grew up in San Diego and received her bachelor's degree in Animal Physiology from University of California San Diego. She then went on to UC Davis for veterinary school where she graduated in 2007. She completed her internship training, along with Dr. Riehl, at Loomis Basin Veterinary Clinic in the Sacramento area. Dr. Thomas has worked as an emergency veterinarian since graduation as well as performing general practice and shelter medicine. Dr Thomas’ special medical interests include trauma, soft tissue surgery and transfusion medicine. When she is not working Dr. Thomas enjoys spending time with her husband and four children, riding her horse and taking her dogs to the beach. Dr. Thomas is a mutt-lover and has 3 mixed breed dogs at home Ollie, Anza and Chloe. She also has one very smart and mischievous cat named Lefty.